" Cinema cycle for inclusion." On June 13th, the Association Mithos Exemplares will organize ” Cinema cycle for inclusion.” Admission is free. 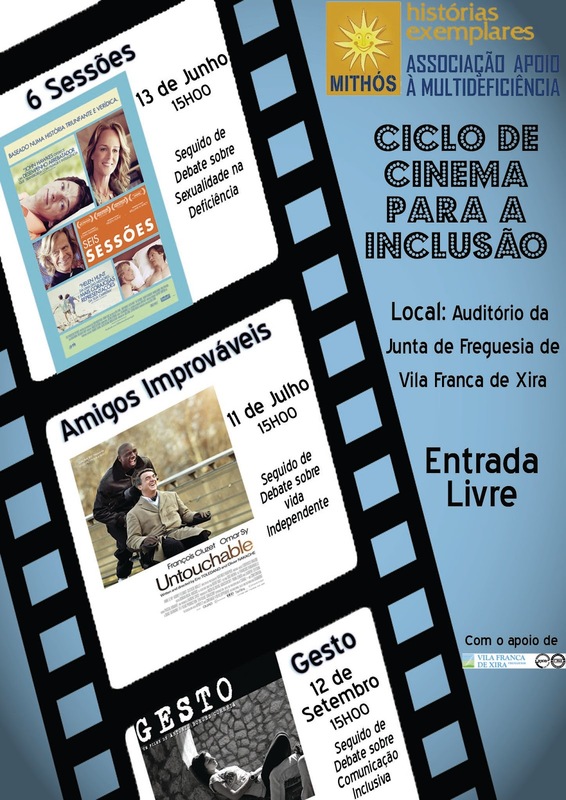 The Mithos Histórias Exemplares Cinemateque in partnership with the Vila Franca de Xira Parish Council will hold several film screenings followed by a discussion on various topics related to disability ranging from sexuality, disability and inclusive communication. These Film sessions will take place on days 13 June, 11 July to 12 September always at 3 P.M. at the Parish Auditorium.